Love it! I had a couple of ellesse jumpers back in the 90s! Love your fringe....and your skin looks flawless here! I LOVE LOVE LOVE this jumper. Super cute combo with the skirt to. 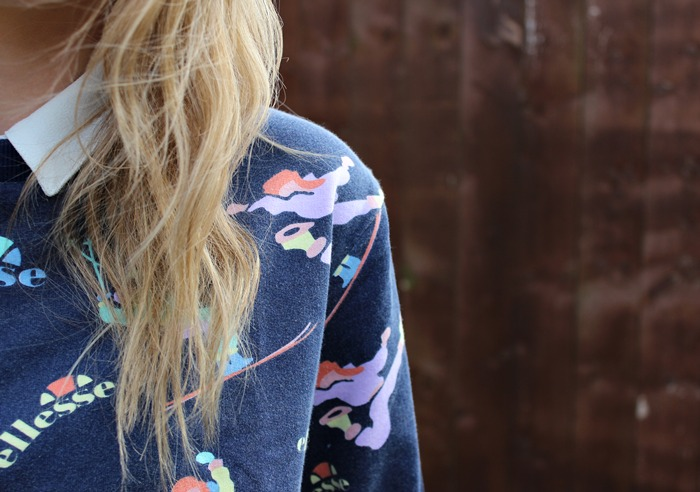 This jumper is so so cute! 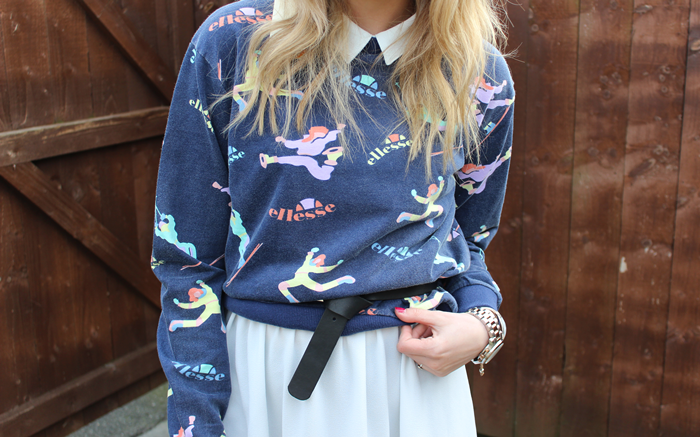 If this jumper doesn't take you back to the 90's I don't know what will hehe. I love how you styled it, it looks current. You have the most gorgeous hair and seriously remind me of Suki Waterhouse in these photos!